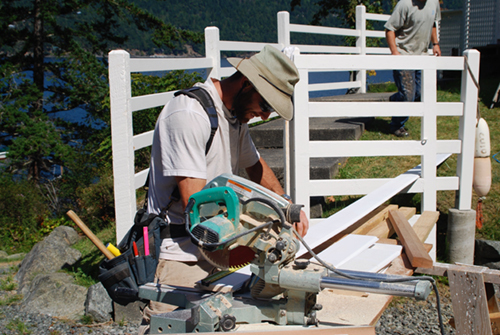 The Island Loan Fund is an opportunity for individuals who love Orcas Island to invest locally in responsible and innovative ways that serve the Orcas Island community. Your investment will be pooled with others, and under the careful stewardship of OPAL staff, it will be loaned to individuals who are creditworthy, but not yet able to obtain a bank mortgage. OPAL staff members will work with borrowers so that within five years they are able to refinance with a bank. Invested funds will be used for home purchases and home improvements. The Island Loan Fund’s policies and procedures comply with state and federal guidelines for offering private securities and making consumer loans. The Loan Fund is modeled after several community development loan funds throughout the United States that have become an important means for concerned investors to realize both a financial and a social return on their capital by investing in their local communities. Currently, the funds will be used only for real-estate-secured mortgage loans to address the challenges of housing and income inequality in the Orcas Island community. Loans may be for the purpose of purchasing a home or making home improvements. To learn more about investing in the Island Loan Fund and to receive a copy of our current Offering Memo, please enter your name and email address in the form below.